Zyflamend Prostate is a dietary supplement that is designed to support overall prostate health. One of the main purposes of this supplement is to restore proper urinary flow. 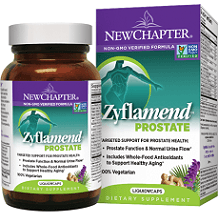 Our Zyflamend Prostate review, below, examines the pertinent information that will help you to determine if this supplement is right for you. Zyflamend Prostate contains 14 active ingredients. 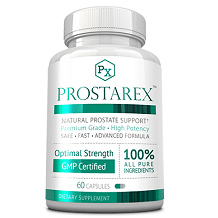 These ingredients are used to support overall prostate health. For example, saw palmetto and nettle help decrease enlarged prostate symptoms and restore normal urinary function. Anti-oxidants, such as green tea, pumpkin seed oil, ginger, turmeric and rosemary can decrease the risk of developing prostate cancer. Other ingredients, such as Chinese skullcap, holy basil, hu zhang, and Chinese goldthread help decrease prostate cancer risk, restore proper urinary function and support the overall health of the prostate. However, the use of selenium is subject to mixed reviews in the medical community. The body doesn’t need large amounts of selenium, but some studies suggest that selenium deficiency can lead to an enlarged prostate. However, there are studies that now suggest that individuals with high selenium levels might increase their risk of prostate cancer if they take selenium supplements. The recommended daily dosage is two capsules. The capsules should be taken with food to avoid an upset stomach. There are no instructions regarding whether the capsules should be taken together or taken at different times of day. There is no information regarding if this supplement is meant to be used short-term or long-term. Zyflamend Prostate is not available for purchase through the manufacturer’s website. However, customers can use the manufacturer’s website to locate where Zyflamend Prostate is sold near them. Online, it is available on Amazon where, at the time of our review you could buy a 60-capsule bottle for $23.05. The manufacturer does not offer a money-back guarantee. Refund policies are decided by retailers, meaning customers will have to inquire about the refund policy when they purchase the product from a website or at a store. Zyflamend Prostate seems to be a decent product. The ratio of positive to negative customer ratings was very good on Amazon when we checked for this review at 83% to 9%. Some negative reviews claimed this product has a foul order and the capsules were broken upon delivery. Positive customers said they have used this product for years. While this product uses natural ingredients there are some uncomfortable side effects that could occur. However, we are concerned by the lack of a manufacturer guarantee, meaning customers may not always receive refunds for a defective product and are unable to try it this product risk-free.